Upon opening Croydon Sports Injury Clinic Ltd in 2010, Dr. Roddy (Chiropractor) has been helping members of the Croydon community restore their health in a timely fashion. Believing that each patient deserves health, his ability to intently listen to the patients concern allows him to determine where the problem truly lies in the body. Dr. Roddy (Chiropractor) also knows the importance of treating his patients exactly as he’d like to be treated—after all, he is a patient of chiropractic himself! Before the age of 25, Dr. Roddy (Chiropractor) had never experienced back pain, but one fateful Christmas morning, it came on during a cricket match. During, Dr. Roddy (Chiropractor) was unable to stand up to completely straighten his back. With the heat of the day escalating, he collapsed onto the floor, knowing something was very wrong. I qualified with a Bachelor degree in Physiotherapist in 2006 from the University of Rome, completing over 2.000 hours of clinical experience. Before graduating I was already working under supervision in a private practice mainly applying physical therapy. Following graduation I worked in a private clinic, treating mainly orthopaedic patients (hip/knee replacement, ligaments reconstruction), neurological patients (post-stroke) and private physiotherapy practices. I then developed an interest in diagnosis and manual therapy, thus i decided to study osteopathy. In 2012, I qualified with a Master Degree in Osteopathy (M.Ost.) from the British School of Osteopathy, (the oldest and biggest school of osteopathy in Europe), after completing over 1,000 hours of clinical training in Europe’s largest and busiest osteopathy clinic. I am registered with the General Osteopathic Council (GOsC). I have a keen interest in biomechanic, posture, sport injuries, ergonomics, swimming (which he has done for several years achieving 2 silver medals at national level), running, rowing, diving, and spearfishing. I speak Italian, English and Greek. I work in Croydon (London) at Croydon Sports Injury Clinic Ltd and in Rome (Italy) 3 days a month. 2012: My research in “Osteopathic student satisfaction and preparedness to practice:a comparative study” has been invited to the 9th International Conference on Advances in Osteopathic Research in London. My work has been submitted to the International Journal of Osteopathic Medicine (IJOM) for publication. 2013: Integrated neuromuscular management of myofascial pain (Trigger Points). Leon Chaitow -Londra- (UK). 2013: Acupuncture, The British Medical Acupuncture Society. Mike Cummings & Max Forrester -Bristol- (UK). 2013: Taping and Strapping for Sports Injuries,Lyndsey Cannon -London- (UK). 2012: ASAP (Axial Spondylitis: Awareness in Pathology. (on-line). 2012: Internal and external technique in obstetrics and gynecology, Stephen Sandler. -Antwerp- (Belgium). 2011: An introduction to Still Technique, J. Edis and G. Booker. -London- (UK). 2011: Balanced Ligamentous Tension, Sue Turner -London- (UK). 2010: Osteopathic Neuromuscular Rehabilitation, Eyal Lederman -London- (UK). 2009: Shoulder rehabilitation B, Gabriele Severini – Milan – (Italy). 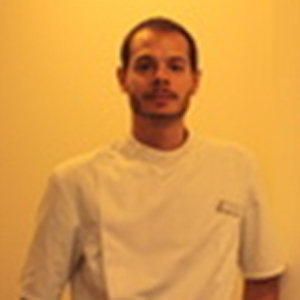 Osteopath Ben Perissinotto has vast experience in health science. 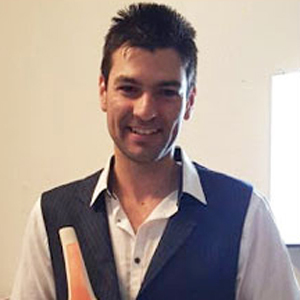 Ben started an undergraduate physiotherapy degree which he changed after two years, switching to finish University at The British school of Osteopathy. Ben can help assess and diagnose a wide range of musculoskeletal conditions and symptoms including back pain, neck pain, headaches and other muscle and joint problems. Ben and our team of health professionals including Croydon chiropractors and physiotherapists work with local Doctors and the community for a well rounded approach to patient care. So relieve the stress of aches and pains and prevent ongoing and needless re-occurrence of injury with an osteopathy appointment at Croydon Sports Injury Clinic Ltd. Call for an appointment with an Osteopath at Croydon Sports Injury Clinic Ltd HQ or see Ben at The Shirley Practice on 0208 657 5181. We’ll provide a time for your consultation with our Osteopath and discover how we can help you with Osteopathy. Physiotherapy is a rewarding profession and through physiotherapy physiotherapists have helped many new patients improve their recovery from injuries acquired through sports and daily activities. Our Croydon Physiotherapists especially relish the co-management we can provide with our other health professionals including chiropractors, Osteopaths and massage therapists. Over the past year we have also introduced International physiotherapy and chiropractic services for traveling sports teams and business executives. The International chiropractic, physiotherapy and massage therapy services we provide has been used to great effect for the streamlined continuity of care required by patients at our clinics in Australia and the UK. We are sure very patient welcomed to Croydon Sports Injury Clinic Ltd will receive exceptional care and a highly professional and effective service for their condition. 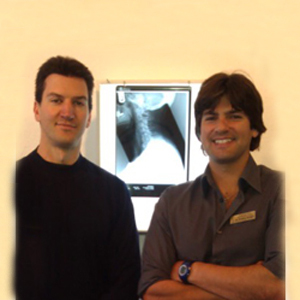 We look forward to welcoming you at one of our International chiropractic and sports injury clinics.